There are some common elements in faithful Christian ministry that will be true and transferable across the world. These will be as true in a small house church as a multisite megachurch. There a couple that it’s almost a cliché to list them But they’re essential. Sticking to the basics. By which I mean prayer, Bible study, evangelism, teaching, discipling, planning, leadership development for future ministry and, above all, putting God first in everything. Sometimes I think churches struggle because they over-prioritise and make false choices: Evangelism or building the saints? Word ministry or ministries of mercy? We don’t need to choose between those sorts of tasks, even though we can make a theological case for their right sequencing. But there are only about six areas that we should privilege in that way, and we mustn’t over-complicate matters. So what are we looking at when we admire, or even envy, an apparently successful church? One ingredient we often overlook, but it’s there when we look for it, is time. It’s rare to find a ministry of substance and influence that has happened overnight – and as we often discover, the people who hit the headlines in their twenties are often in a very different place a decade later. Youthful energy is a great gift from God, but it needs to be honed and stewarded for the long haul. But the churches with an influence that touches lives, for life, are usually built on a long-term ministry of a gifted individual – or a sequence of them. 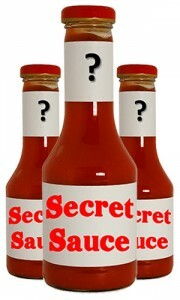 But you know all that, and I said there is a secret ingredient. What is it? Constant reinvention. These are preachers who face every sermon as a new task, no matter how many times they’ve preached. One man was described as ‘predictably unpredictable’,and I think that’s a fantastic target. You could always predict he would be rigorously biblical, but once you had established that, there were constant surprises. Never satisfied, always looking for better, sharper, fresher ways of doing the basics. Never in a routine, committed to increasing obedience and radical change. Here’s a challenge .When did you last take your ministry methods completely apart, and rebuild them? When did you last think, ‘This isn’t working’? When did you last check yourself for sounding like a poor imitation of someone else, or even a poor imitation of yourself? I don’t mean abandoning biblical exposition, because that’s one of the basics we must maintain. But what that looks like, can and must be open to constant improvement. Previous postIs you church like the Lion King? The most important difference. Next postWho’s in charge? The simplest and most important way to avoid chaos.